The latest revelations of authentic director Krish regarding the credit controversy of Kangana’s Manikarnika has lead to many discussions. 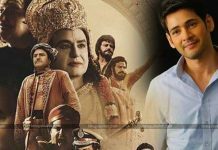 Along with the supporters of Krish, there exists many haters of Krish who question his directorial ethics regarding NTR Kathanayakudu.As far as Kangana’s Manikarnika is concerned, the team almost sidelined Krish and gave full credit to the female lead in direction. Krish expressed his distress over this issue and stated that he worked for complete movie and left it only after finishing the shoot. In his recent claims, Krish went a step further and declared that his reluctance in changing some scenes against the will of Kangana is the primary reason for this entire controversy. Previous articleY.S Jagan To Declare Candidates From Then…!